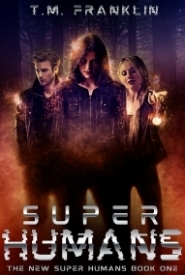 Are their newfound powers enough to take down an unspeakable evil? Chloe Blake’s campus rental has it all: a retro Victorian vibe, a beautiful picture window, and a perfect view of Ethan Reynolds—the guy who broke her heart and lives across the street. But when she sees disturbing visions of death slide across the panes, she’s convinced she’s glimpsed into Ethan’s future. She’ll stop at nothing to change fate and save him… even if it means everyone will think she’s crazy. Wren Galloway has lost track of all the crummy cities she’s lived in. Plagued by nightmares, Wren wakes in a cold sweat with the vision of a nearby Victorian house still in her mind… and a strong urge to seek out the powerful talisman calling to her from its attic. Drawn together by an ancient force, Chloe and Wren must work together to discover the house’s secrets and unlock their hidden powers to take down the shadowy specter that haunts their premonitions and leaves death in its wake.